Payroll is one of the more important elements of a business. Without payroll services, you’re unable to compensate your workers for their hard work. Additionally, it’s illegal to not have payroll services or to pay someone under the table. Payroll services help to determine how to balance the books for your business. If you want to do your own payroll services, then if you make mistakes you can be penalized by the IRS due to errors. When it comes to payroll services, one out of three owners of businesses is faced with errors on their company books. When you outsource your payroll services, you’ll be able to eliminate any errors that may occur in your books. Hiring a professional payroll service will allow you to always pay your employees on time and have balanced books, which eliminates any room for error. As a payroll service, Journey Business Solutions is adept at balancing the books for other businesses and making sure that our services are correct so everyone is paid on time. When you hire Journey Business Solutions, you’ll be able to eliminate any time wasting you may face by employing our payroll services. How do you figure out the best payroll service for you? How do you make your decision on what works best for your business? At Journey Business Solutions, we want you to be as knowledgeable as possible when it comes to picking a payroll service. If you’re new to the business world and just opened a startup company, then you may not know the best method of picking the proper payroll services for you. Even if you’ve been in the business world for some time, deciding new payroll services for your company can be hinder some. This is why we’ve provided three methods to consider when you’re choosing the best payroll services for your company. 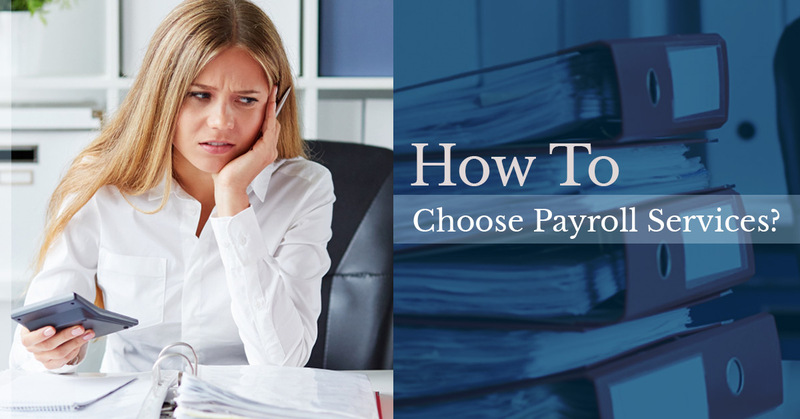 When you consider these methods for payroll services, you’ll find that your final decision when it comes to payroll services is easier than you thought. The first way to pick the right payroll services for you is determining the advancement of the technology. Since we live in such a technology driven world, it’s important to pick a payroll service that is more advancement in technology. Providers of payroll services should have the best technology. From payroll software online and functional websites, the payroll service you pick should have all of the information at your fingertips. With more advanced technology, comes more power you can take advantage of. The best way to figure out if a payroll service provider is right for your company is by asking questions and learning more about the software. At Journey Business Solutions, we’re happy to report that our software is top-tier. When you come to us for payroll services, we take care of everything so you don’t have to waste your time figuring out the big picture payroll duties. As a business owner, you should be considering the best strategy for your business, not worrying about payroll services. With trusted professionals that will save you time and money on errors, our technology for payroll services is an easy to use, forward software system. Money can always be an issue, especially for startup businesses. Now that you’ve poured all of your money into starting your own business, you have two options. You’ll end up pinching your pennies because you don’t have the finances to do exactly what you want yet or you’ll end up spending big bucks on more services while you still have the money to do so. Owning a business is hard and figuring out the financial aspects are even more difficult. This means that the money you spend on outsourced payroll services will be an excellent method to determine how to ultimately make your final decision. Many payroll service providers charge more fees for every new hire that is made at a company and others do not. Additionally, sometimes there is a charge for direct deposit for payroll services. To ensure you know how much you are paying for your payroll services, make sure to ask an abundance of questions about fees so you aren’t surprised by any hidden expenses that the provider sneaks up on you. When you know the pricing structure of the payroll service provider, you’ll know how to budget your payroll services into your overall finances. Journey Business Solutions welcomes any and all questions to be asked about our payroll service fees. We strive to be a transparent service, so you know exactly how to accurately budget your business. We want your startup or small business to succeed, which is why we make our payroll services so easy to use. We understand the importance of payroll services, no one wants to deal with an angry employee, which is why we make sure to have reliable and capable services for your business to expand. The last method to help you determine the right payroll services for you is the experience of a provider company. Why would you want to go with a provider who is just starting up themselves? As a startup and a small business, you probably empathize with other businesses who are just starting out, but sometimes it’s better to go with a company who has more experience. More experience makes you feel more comfortable on what to expect from a payroll provider. When you’re in the hands of people who know how to handle specific problems that may arise, then you’ll feel confident in your decision of a payroll service provider. Journey Business Solutions has the necessary experience that’s needed for payroll services to help your business. We strive to be a dependable resource for those who want to have balanced books and pay their employees the correct amount. For any questions you may have about our own payroll services, please contact us today. We cater to Dallas, Fort Worth, and RGV locations in Texas.